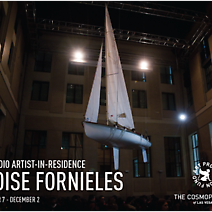 Eloise Fornieles is an Anglo-Argentine artist who works primarily in performance. After receiving her BA in Fine Art from Kingston University, Fornieles graduated from the Slade School of Fine Art in 2006 with an MFA in Fine Art Media. Her work engages with human interaction, intimacy and the relationship between beauty and violence, using photography and video as an extension of her work in performance and installation. Fornieles’ work has been shown in numerous group exhibitions internationally at galleries such as Shizaru, London; Baibokov Art Projects, Moscow, and Grey Area, Brighton, England; as well as two solo exhibitions at Paradise Row in London.